Nancy Barrand: What is epigenetics? 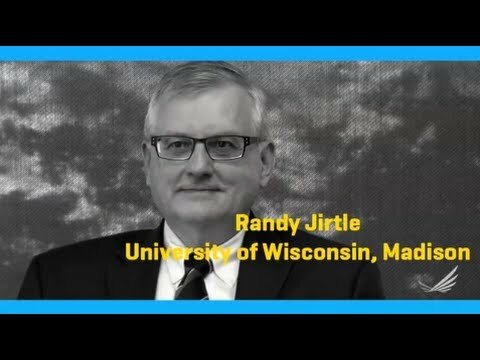 Randy Jirtle: Epigenetics simply means above the genetics, and it refers to the study of heritable changes in gene function that occur without a change in the DNA sequence. So we now know that chemical modifications of the DNA, and the histones the DNA wraps around, actually determine whether genes are functional or not functional. These chemical modifications can be caused by environmental factors that we are exposed to, such as the nutrients we eat—or those our mother ate—or stress at critical junctures in our development. Understanding how a single epigenetic change can totally disrupt the action or expression of a gene is providing us for the first time with information that will ultimately allow people to prevent diseases and conditions from ever happening, rather than just treating them after they occur. When talking about epigenetics in the context of genetics, you often make the comparison to software and hardware. What do you mean by this? Even though each cell in our body has the same genome, our body has around 250 different cell types (e.g. liver cells, skin cells, and brain cells) because they were programmed during early development to function differently. Therefore, the repertoire of functional genes varies between cell types. So in other words, cells can be thought of as being programmable computers with the DNA being comparable to the hardware of the computer, and the epigenome, the software that tells the computer when, where, and how to work. Not to mix metaphors, but another way to look at this is to think of writing systems and reading systems—your DNA is something that has been written—a book or a paper. However, just because something has been written, doesn’t mean it will be read. So what you have inherited, your marked DNA, may or may not be read depending on changes to your epigenome. The “reading” is where gene development and expression can be altered through environmental and behavioral changes. What can cause our gene expression to change during our lifetime, and are there times when it is more susceptible to change? The epigenome is vulnerable to change throughout life, but early development, puberty, and old age are stages of life that are particularly susceptible. This malleability of the epigenome means we can either increase or decrease our risk to disease by altering our environment and behavior. The epigenome is most susceptible to environmentally induced changes during early embryogenesis, right after conception. It is at this period of development that the epigenetic cellular differentiation programs are established in cells. Consequently, programming abnormalities that occur at this time will be present in basically all cells in the body throughout life. We have shown that maternal diet during pregnancy directly affects the ability to program the epigenome in the offspring, resulting in altered disease susceptibility in adulthood. Although the epigenome is vulnerable to change throughout life, the ability to maintain its fidelity becomes increasingly compromised with age. This may be one reason why cancer is more prevalent in older people, and we now realize that cancer is both a genetic and epigenetic disease. Maternal behavior and abuse during childhood can modify the epigenetic programming of the brain. There is accumulating evidence that even post traumatic stress disorder may have an epigenetic component to its etiology, and that compounds that alter the epigenome may be useful in its treatment. The epigenome is also susceptible to environmental modification during the rapid cell growth and development that occurs, for example, in the breast during puberty. The interest in epigenetics is growing substantially and other fields of science are recognizing the importance of epigenetics to their work. You suggest that epigenetics might ultimately become the organizing system that ties together hard science with social science. This is an intriguing possibility. Can you say more? It’s true. The field of epigenetics is growing exponentially with the number of papers published in this field doubling about every three years—a rate that is three times that for science in general. This has occurred, in part, because increasing numbers of scientists from other disciplines, such as epidemiology, neurobiology, psychiatry, psychology, and the social sciences, are realizing the critical importance of environmental epigenomics in human health and disease. Consequently, over 12,000 papers were published this past year in epigenetics, many of which described the social and behavioral aspects of epigenetic programming. The large-scale human studies that will be required in the future to more clearly define the role of epigenetics in human well being will require teams of scientists comprised of neurobiologists, geneticists, and toxicologists interacting closely with epidemiologists, nutritionists, psychologists, and social biologists. Both current interest and future needs point to the same end point. Epigenetics isn’t simply influencing the way we study biology—it is in fact becoming biology. That is the beauty of epigenetics. It is inseparable from the study of life. To learn more, watch the video below with Randy and RWJF's Nancy Barrand and view an infographic inspired by Randy’s pioneering work in epigenetics and genome imprinting. For more information about epigenetics research and the studies mentioned in this Q&A, please visit http://www.geneimprint.com.